Dogs, no matter what their size or breed, make the best companion. They are loyal, friendly, and easily become a part of the family. However, though big dogs are very adorable, the smaller ones are playful, charming, and can easily accompany you wherever you go. Moreover, some people have a great liking for small dogs and if you want to adopt one, then you can choose from the top 10 smallest dog breeds in the world mentioned below. The followings are 10 of the world’s smallest dog breeds. Chihuahua is one of the cutest smallest dog breeds. They are very cute and adorable and this is what makes them immensely popular. Though they are small in size they are known for having a big dog attitude in their little bodies. They can have short or long hair in a variety of colors. This breed of dog gets its name from the state of Chihuahua in Mexico. 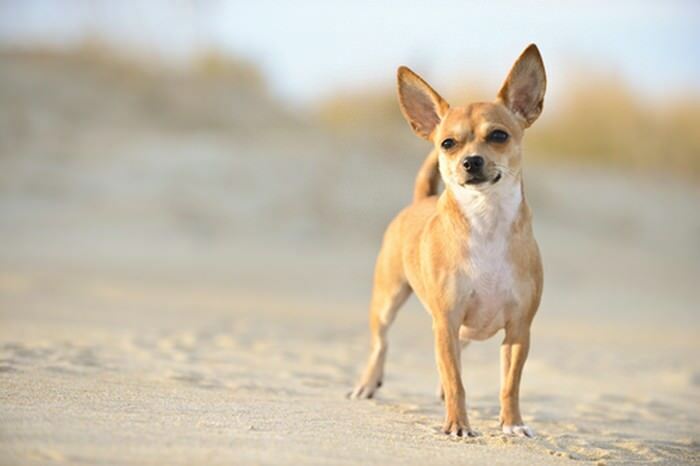 Chihuahuas can quickly and easily get connected to their owners, and are best around older children because of their small size and delicate bone structure. It is affectionate and intelligent but usually rules their human family with a willful and confident attitude. See also; Top 10 Small Pets That Could Be Right for Your Kids. The French bulldog is a small and cute dog and has a unique appearance. They weigh around 9-12 kg and have a height of just 30 cm. This breed has a rounded chest, short coat, short face, and cute round ‘bat’ ears. Though they are small in size they have a muscular body. Bulldog puppies need proper socialization and training. They learn tricks fast and are very intelligent. If trained the right way, a French bulldog can prove to be a great apartment dog as they do not bark much. These dogs are also playful, alert, and affectionate and gel well with children. The Pomeranian, also known as Pome or Pom, gets its name from the Pomeranian region in Germany. It’s one of the smallest do breeds out there. This small breed dog may not be the best choice for very young kids as they are not big enough to handle any rough play. This breed is typically friendly, lively, and playful but may get aggressive in presence of other dogs and will try and prove themselves. The Pomeranian has always been the most popular breed of dog in the US. It’s one of the cutest animals in the world. The Boston Terrier has a square appearance and is a small breed dog. They have a well muscled-body though it is short in size. They have a square head, a broad chest, and a short tail. This dog weighs just between 4.5-11 kg. It is very important to start socializing Boston terrier puppies at an early age. They are sensitive to the tone of their owner’s voice and get to learn tricks easily. Boston terriers can be a perfect family pet as they are very playful and lovable. However, as these dogs have very short hair it will be best to keep them indoors as extreme weather conditions can be harmful to them. The Yorkshire terrier is yet another smallest dog breeds, which was developed in Yorkshire, England, in the 19th century to hunt for rats in clothing mills. These dogs do not seem to be aware of their little size and are always ready for adventure. They are high in energy, clever, loyal, and brave. 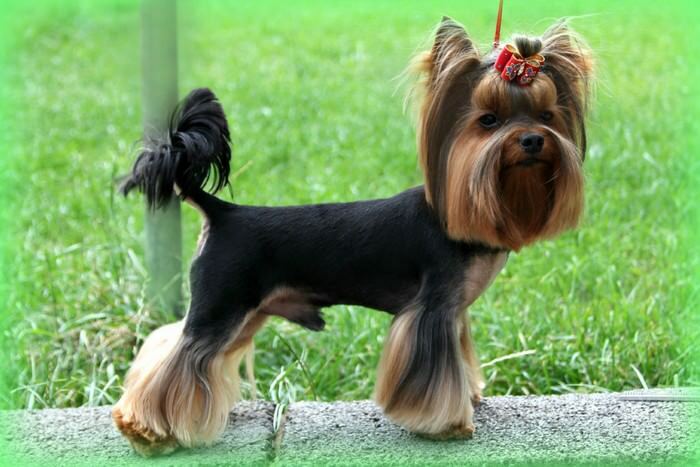 The Yorkshire terrier is a perfect one for apartments as they can manage without a yard and are very active even indoors. 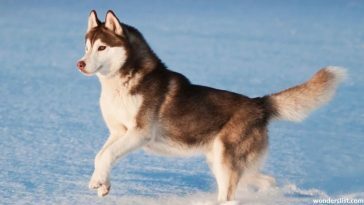 These dogs are sensitive to cold and like warm climates. They are a toy breed that is loved for their silky, long hair, and in usual cases, they weigh no more than 3.2kg. They have a little head, V-shaped ears, and black medium sized eyes. This is a cute and small dog breed that originated in Spain. ‘Bichon Frise’ is a Spanish word and it means a ‘curly lap dog’ if translated into English. These dogs are very friendly, cheerful, intelligent, and playful. They have a compact, small body with curly white hair and a dense coat. The head of a Bichon Frise is rounded, its tail is plumed and long, and they are black and round. They look quite like the white poodles. The first thing that attracts people to a Bichon Frise is their happy temperament. They love everybody and are patient. These dogs are naturally social and can be trained easily. They easily become friends with children and any other pet in the family. The Maltese is a small dog breed and belongs to the Toy Group. It is a very small dog with a square body which is covered with flat, long, white, silky hair which hangs almost to the ground. Since these dogs do not shed they make a good choice for people who have dog allergies. Perseverance and patience are needed to train it properly. See also; 10 Unique Dog Breeds You May Never Come Across. A pug is a square-proportioned, cute and small dog that has a happy temperament. They are famous for their flat round wrinkled face. ‘Pug’ is a Latin word which means ‘fist’, and they are named so because their face resembles a human fist. These dogs can grow up to 14 inches and weigh a maximum of 6-9 kg. They have a flat large rounded head, rounded eyes, small ears, and a curly tail. They are very sensitive to the tone of their owner and thus it is easy to train them. It is the good temperament and beauty of the poodle that makes them so famous. They are active, faithful, intelligent, and alert. They have been very famous in France since 1500. There are three popular types of poodles and they vary in size – miniature, toy, and standard. The toy poodle is the smallest and the standard one is the largest. The toy poodles attain a maximum height of 10 inches and can weigh just between 3-4 kg. A Shih Tzu is one of the cutest and the most popular dogs in the world. Also, it’s one of the smallest dog breeds in the world. Though their exact origin is not known, they are believed to have originated in Tibet, and developed in China. They are alert, outgoing, affectionate, and loyal. Shih Tzu is one of the sweetest breed of dogs that any owner will love to spoil with care and affection. Now that you are aware of the 10 smallest dog breeds in the world, you surely are going to have a difficult time choosing one, as each of them is equally good-looking and adorable, and are perfect kids to adopt.